Thousands of volunteers donate their time and resources to help make the Make-A-Wish vision a reality. This organization helps grant the wishes of children diagnosed with critical and terminal illnesses. They believe that a wish experience can change children’s outlook on their situations and can be a game-changer. Due to the overwhelming support of the program, a wish is granted every 34 minutes. Khushi, a 9-year-old girl, who is afflicted with a critical illness had her biggest wish granted today. She had one wish, and it was to be a princess. 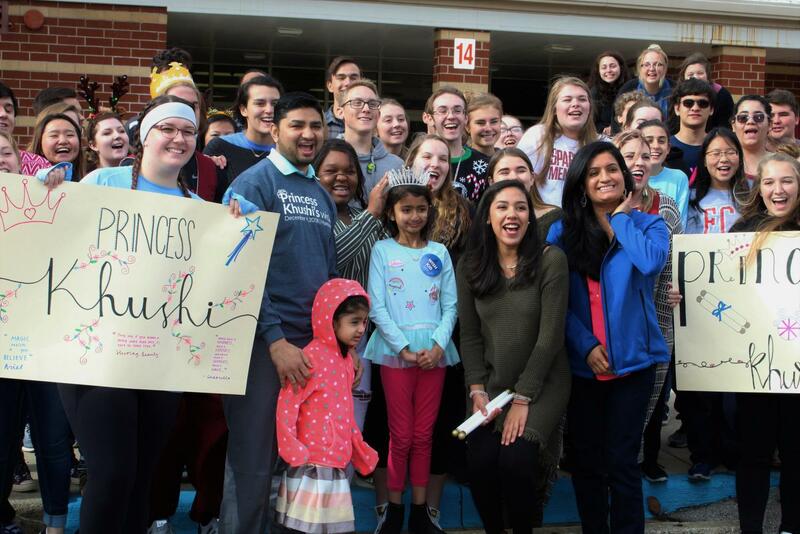 A sponsor from Make-A-Wish contacted SGA director, Ashly Johnston and she immediately wanted to make Khushi’s wish come true. “We will be presenting Khushi with a tiara to make one part of her dream come true,” Johnston said. After they got the tiara, they wanted to welcome Khushi into the school like royalty. To make this possible, senior Walton Vaughn volunteered to be a prince to accompany Khushi on her way to be presented with her tiara. To add to this, Johnston asked some of her students to make posters and then hold them up when she arrived. Khushi will be traveling to different places throughout the rest of the day to get the rest of her princess attire. Later on tonight, she will make her appearance as a princess in the Huntsville Christmas Parade. Thanks to all of the support from the community this day will one she will never forget.